Healthy + cheap are two words that most people don’t seem to think can go together. 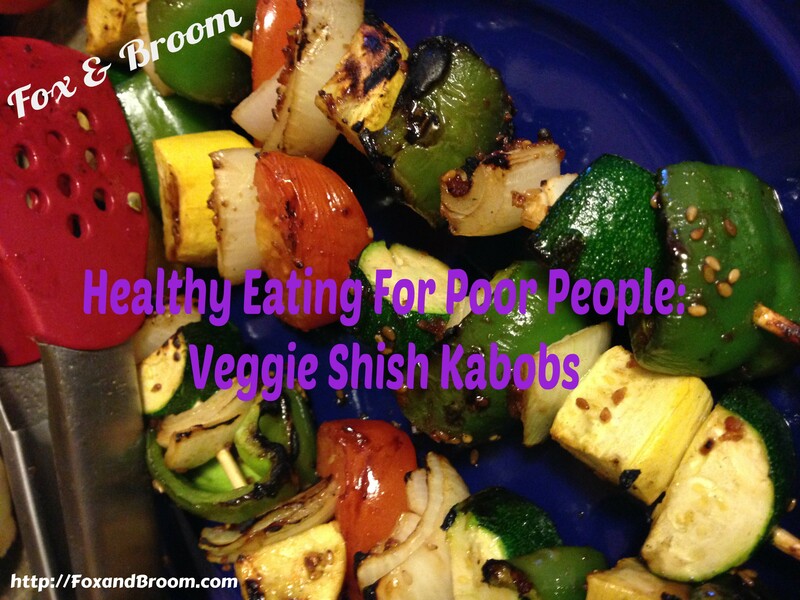 I started my Healthy Eating For Poor People series in an effort to quash that thought process. Not all of us can afford the current trendy organic, free-range bison meat. BUT, most of us can afford simple vegetables, beans, learning how to shop smart, and learning how to make your food in healthier ways. The veggies I bought for this meal cost me under $10.00. 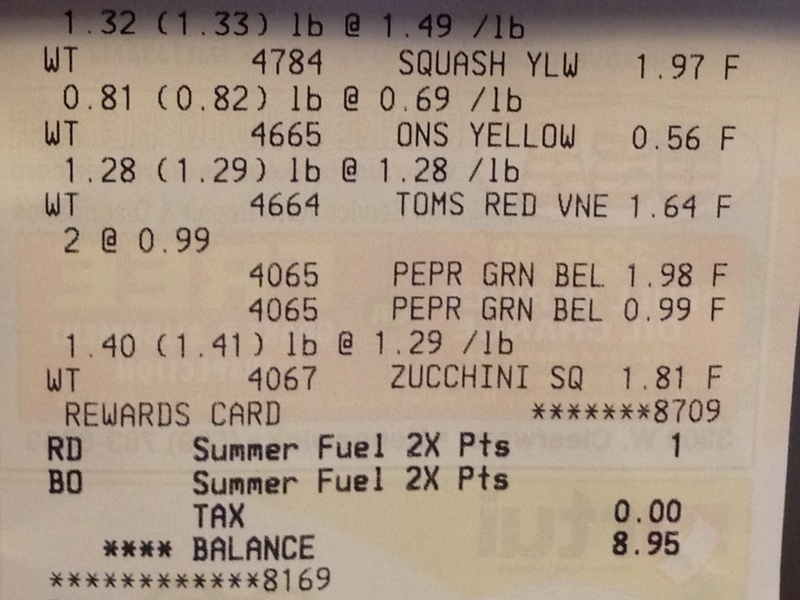 The receipt is a little misleading since I did not use ALL of the vegetables I bought. I will break down the actual cost at the end of this post. A meal for 3 – 4 people for under $10! This was one of the simplest recipes I could think of (aside from a salad). The ingredients can vary, depending on what you like. I’m not a huge fan of tomatoes, so I didn’t use as many as my husband would have. Gotta say – these tomatoes really were spectacular. Now, there are some additional costs involved with this recipe: marinade and skewers. I already had marinade in my fridge, so that is what I used. 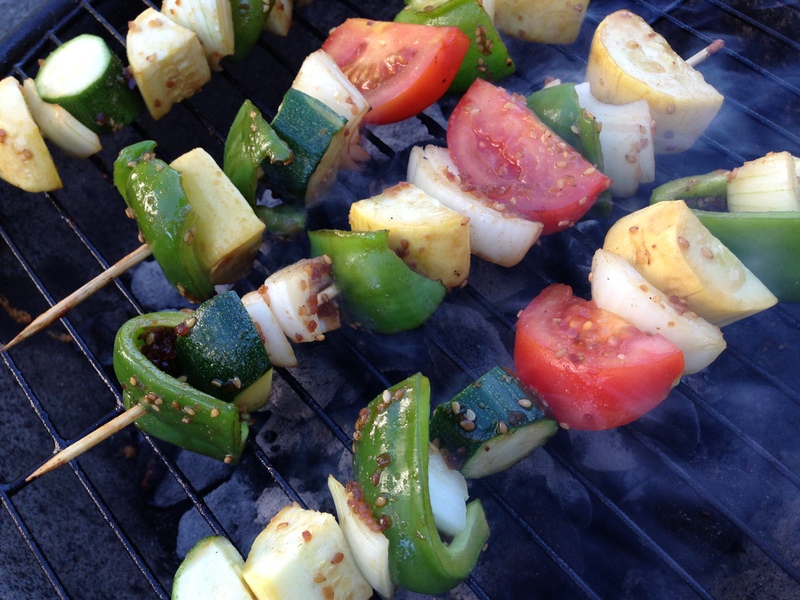 I also already had skewers from kabobs a few months before this recipe. I paid about $2.00 for the skewers and $4 for the marinade. A pack of skewers will last my family at least a year. Less if we eat more kabobs. The marinade I used in this recipe is also my favorite chicken and steak marinade. From the size bottle I used (I can sometimes get a bigger bottle at Costco), I get about two – three uses out of it. Marinade: enough to coat the kabobs and leave about 1/2 inch in the bottom of a cake pan. I think I used about 1 1/2 cups. Cut all the veggies into decent sized chunks. Not so big that they take up the whole stick, and not so little that they will just fall off. Approximately 2 inch cubes. The onion I cut into largish strips. Slide the chunks on the skewers in any order you like. 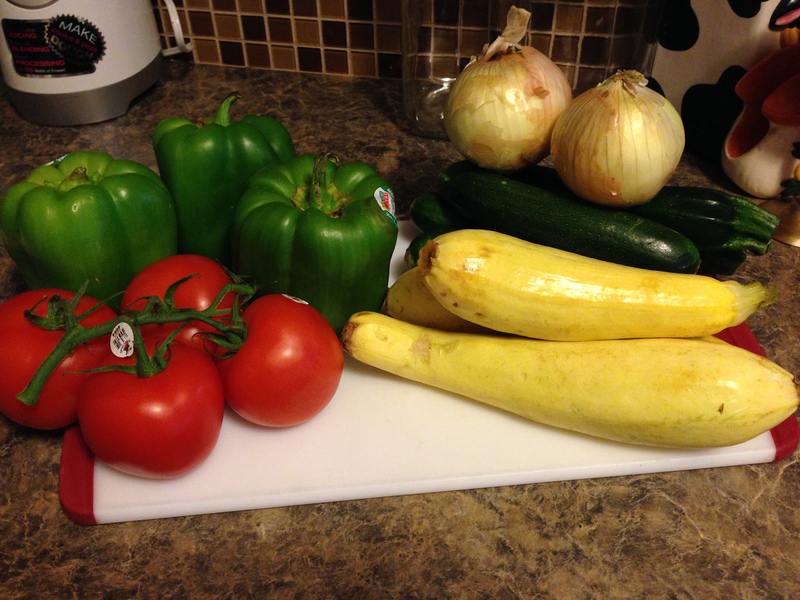 Since I had some veggies with really nice colors, I tried to display those colors as nicely as possible. I also made sure to add a bit of onion to add a little more flavor to the other vegetables. 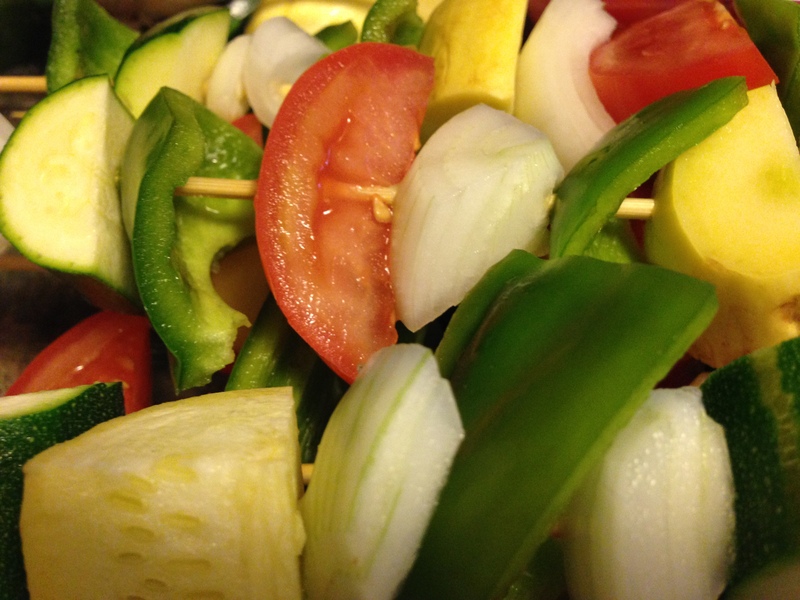 Place the skewered vegetables into a cake pan or deep dish. Pour marinade over the top of the veggies. Make sure they are all well-coated. Cover and let soak for at least an hour. I mixed mine around so all the skewers would have a chance to soak in the marinade on the bottom of the pan. 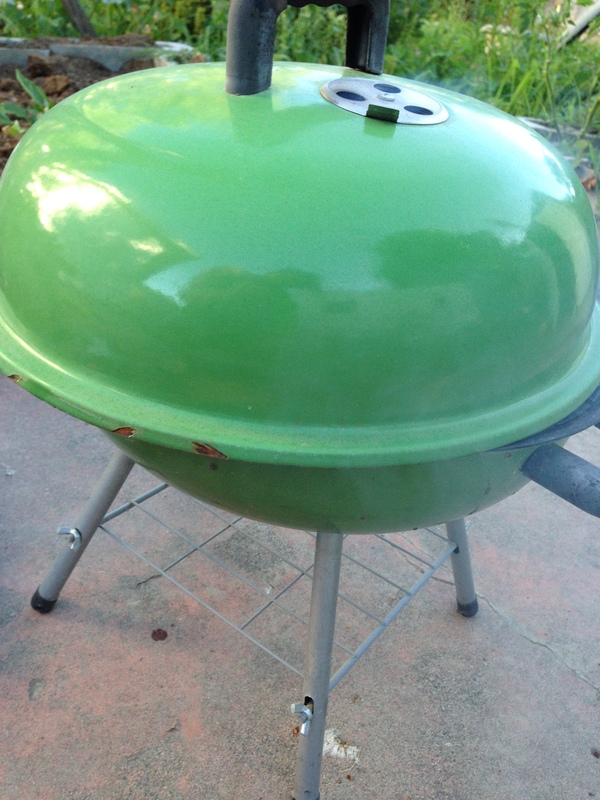 Light up your grill and let it heat for about 10 minutes. If you do not have a grill, preheat your oven to about 425º F.
Once the grill has warmed up, place the shish kabobs on it and let cook 10 – 20 minutes. Be sure to turn them over. If you are using an oven, place the shish kabobs on a cookie sheet. I would spread the marinade left on the bottom of the pan on and around the shish kabobs. Check them about every 5 – 10 minutes. Be sure to turn them over. I like my veggies a bit crisp. If you want yours not so crisp, you may need to cook them longer. This recipe made about 7 skewers and fed three adults and one child. It was surprisingly filling all on its own, though if you want to have more protein with your meal, you may want to finish it off with yogurt, have a side of cheese/quinoa/beans. This is an approximate estimate. I have no idea exactly how much marinade stays on the kabobs. 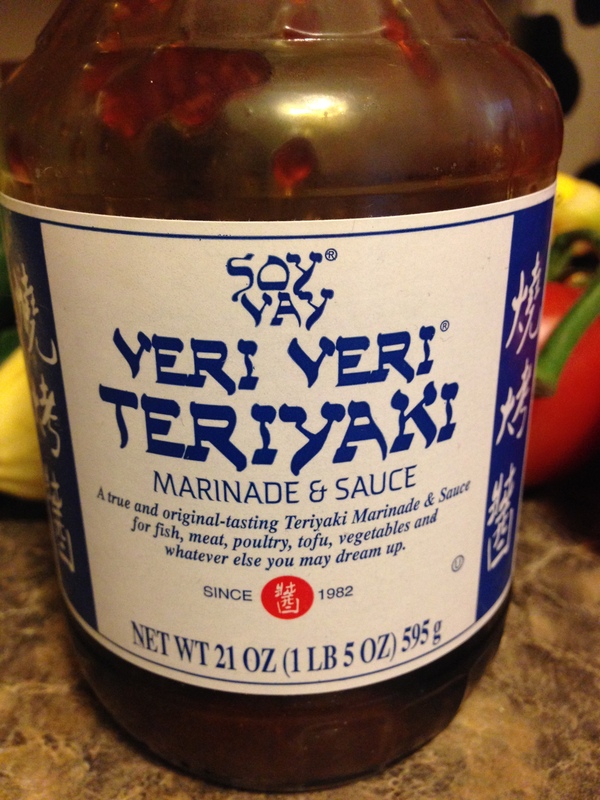 And, it turns it, my marinade is pretty high in sodium… I expected the fat, as it is an oil base. The salt did surprise me. 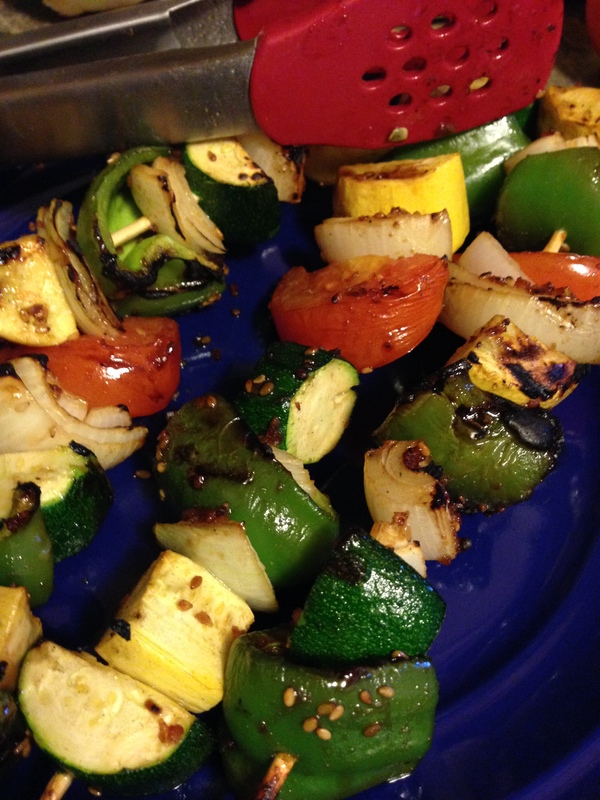 Overall, very simple, fairly healthy (depending on your marinade…) and CHEAP.